In chaotic times, it’s common for businesspeople to be fearful and reactionary when they feel they must cut expenses. But entrepreneurs need to be unemotional so that they make decisions that will bolster their objectives. They can take the emotion out of their decision-making — by eliminating stress factors — if their priorities are clearly defined with values. This is facilitated by documenting goals and priorities. In other words, write them down. It’s even more important in an uncertain economy. Profit margins are squeezed when a business fails to plan. Due diligence in decision-making means looking at all internal and external issues. 1. Know your break-even point (BEP). Best practices in management mean having the right information to alleviate uncertainty in business. At what point do you start to break even? A BEP analysis should be an integral part of your financial planning. 2. Analyze your non-income producing activities. Look for cost savings with a caveat – make sure cutting costs won’t encumber short-term and long-term profits. For example, many business owners mistakenly believe it’s advantageous to cut cell phone expenses by telling employees to “bring your own device (BYOD).” To the contrary, BYOD headaches outweigh the benefits. 3. Don’t robotically make cuts in your cash cows. Be sure to evaluate any potential negative impacts on income vs. productivity. Admittedly, in my first year as a business-performance consultant, I was zealously tempted to cut my entertainment budget – until I realized it yielded a 500 percent profit. It would have been a different decision if an entertainment budget meant I was just moving money around. 4. Take a sober look at your pricing. To help maximize your profits, review your pricing. Use the right strategies to give you pricing power. 5. When tempted to cut costs by changing vendor products or services, make sure you don’t rob Peter to pay Paul. Do your due diligence to make certain you get equal or better value. If your current vendors are giving you bad service, sometimes it’s worth keeping them and not changing to others. In that case, try teaching. It’s better to train dysfunctional vendors in what you want them to do. 6. Continuously test your needs vis-à-vis your emotional wants and desires. When contemplating purchases, small and large, I like the adage: “When in doubt, don’t.” Sleep on the issue before acting. Do your due diligence for best decision-making. 7. Maintain the health of your information technology and other equipment. Breakdowns always seem to happen at crucial times and deadlines, which means they’re huge money and time wasters. Bite the bullet and perform timely repairs and maintenance of all equipment, as well as security for your computer system and important records to avert system failures. Cyber security is a major headache. Plan in advance to deal with security issues. Make certain your business is prepared with the right precautions and response philosophy. 8. Evaluate your human capital — your staff. Avoid the 12 errors in employee evaluations. Make the necessary changes. Additionally, try a major profit driver — partnering with your employees. What’s working for you and what isn’t? For best results, implement marketing-plan essentials for your business. Remember, cost-cutting isn’t always a great bargain for your business, if you lose sight of your objectives. So, write them down and use best practices to eliminate your stress factors for the right decisions. Strategies: If a Valued Employee Wants a Raise, and Money’s Tight — In this economy, whether you operate a large or small company, trepidation of higher payroll expenses can turn your hands cold with perspiration. That’s especially true when talented employees suddenly ask for a raise. 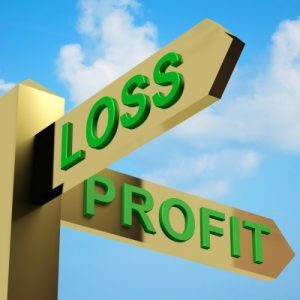 Eye-Opening Options to Generate Soaring Profits — A small-business owner asks for relief from her financial roller coaster – here are four often-overlooked ways to boost profits. Overcoming Obstacles for Business Turnaround — 13 Steps — For a successful business turnaround, there are two obstacles to overcome — the ego of the business owner or CEO, and poor advice by the lawyers.